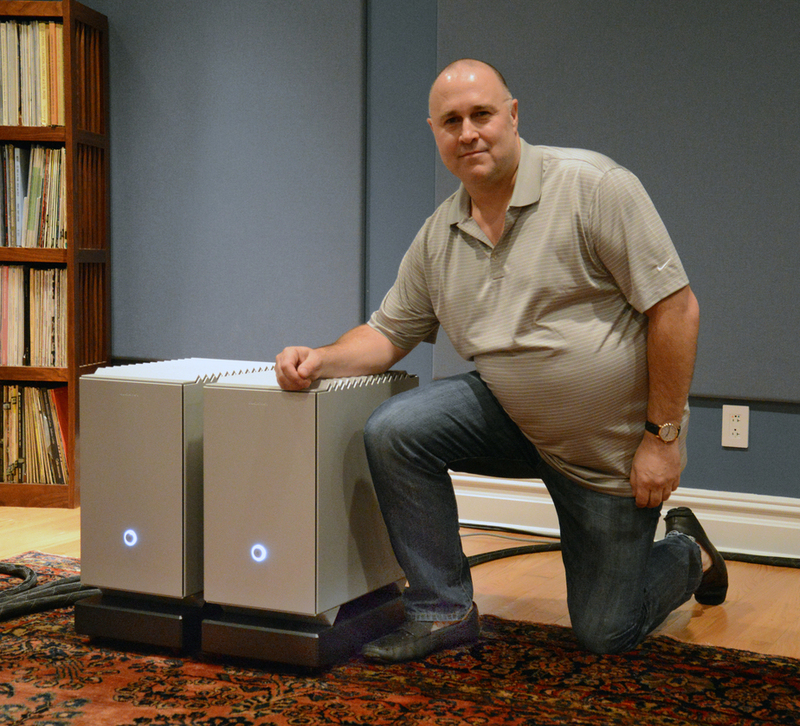 Wednesday morning, October 24th, found me taking a day trip to GTT Audio & Video, located in Long Valley, NJ, about forty minutes west of Newark, to attend a private audition of Audionet’s new Scientist Series of electronics, the Stern linestage ($45k) and the Heisenberg monoblock amplifiers ($105k/pr.). Rather than take up space here with specifications, I’ll direct those interested to the Audionet website. Handmade in Berlin, these electronics also boast beautiful industrial design conceived by the legendary German designer Hartmut Esslinger. The Stern has received a National Design Award and is now part of the Smithsonian's National Gallery. The Heisenberg features a global patent on its floating panels that allow for ventilation and light. Aside from the substitution of the Scientist Series of electronics (and the series of cables), the demo system described below was the same exceptionally transparent and articulate setup I had heard in GTT’s primary listening space (roughly 20’ by 35’ by 11’, with four non-parallel surfaces) some 13 months ago when I reported on the introduction of the YG Acoustics Sonja XV loudspeakers. We chose to listen exclusively to LPs for this audition, using the following analog front-end gear: the Kronos Pro Limited Edition turntable (with SCPS1 power supply, Black Beauty tonearm, and Air Tight Opus 1 cartridge) feeding an Audionet PAM G2 phonostage with the EXP power supply. For this event, the Audionet PRE G2 linestage and MAX monoblocks (the very units serving as my current reference electronics; my review for these will appear in TAS Issue 279) had been replaced by the new Stern linestage, and two pairs of the Heisenberg monoblocks, used in left/right biamped configuration. 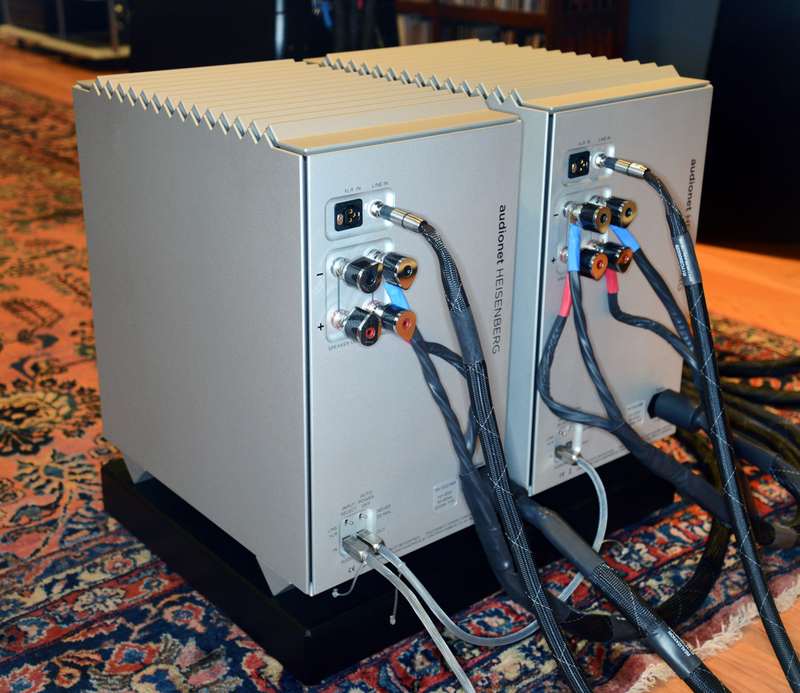 Finally, all Kubala-Sosna Elation series cabling had been replaced with the maker’s new flagship Realization series. I got to spend the entire day listening to this remarkable system, and virtually every LP we played (I had a dozen of my own favorite records with me) left me astounded. We started our session with the 45rpm release of 88 Basie Street [Pablo Records]. From the moment the needle landed in the groove, the utter naturalness of the presentation became apparent. I was hearing subtleties of hall and performance ambiance that I’d never before heard in all my years of listening to this LP on literally hundreds of systems. Transients were crisper, more sharply and accurately delineated, tone color and texture were astonishingly accurate, and every aspect of the presentation was depicted with full, honest bloom, accurate weight, and ample body. Moving to the 45rpm Zubin Mehta reading of “Mars,” from Holst’s The Planets [Decca], dynamic scaling was spectacular, and I was overwhelmed by the degree of ambient detail conveyed. The way this system recreated the sound of a snare drum—its location, size, tone, body, and retort—was chilling. This system expressed a fine degree of delicacy and finesse that I’d never experienced prior, and yet, at the same time, there existed an enhanced measure of power and speed. Both of these characteristics coexisted in equal measure; neither showed compromise. While I had picked up on these sonic capabilities to some degree at the official unveiling of the Scientist Series electronics at the High End Munich show last May (where they also received a Gold Award), this showing fleshed everything out, leaving no doubt about their prowess. On playback of Respighi’s Feste Romane/The Pines of Rome [Mobile Fidelity UHQR], I heard instruments more clearly delineated in space, and more faithfully rendered in timbre and texture than ever before. “Duke’s Place”, from the Louis Armstrong and Duke Ellington collaboration, Recording Together for the First Time [Roulette, Classic Records], was an absolute revelation of the musicians’ spatial relationships within the soundstage and of vibrant, faithful timbre. And the rhythmic pace, the timing and drive of the music, had never sounded more frenetic! With my longtime favorite version of Beethoven’s Symphony No. 9, by Sir Georg Solti with the Chicago Symphony Orchestra and Chorus [MFSL 2-516], my amazement in response this system peaked. I was hearing bowing subtleties and nuances, hall space, the air of and around the strings, brass, and even percussion instruments, in the most relaxed, holographic, yet natural manner. The resonant nature as well as the tone and texture of horns had never been expressed with more realism. Listening to the entire Fourth Movement, the “Ode to Joy,” I was inextricably drawn into this performance by a newfound purity in tone color, textural complexity and density, and the remarkable distinction of the individual voices of the primary singers as well as those within the massed chorus. This striking specificity of the vocalists in both enunciation and location coincidentally resulted in a more cogent, coherent sound of the massed vocal performance, rendering a presentation that was more natural, organic, and relaxed, rather than artificially illuminated. This was, without question, the most convincingly and clearly I had ever “seen” a performance with my ears. In fact, this reading was so evocative and moving, at the end I shouted out, “Bravo!” and we both felt as if we should stand up and applaud the performance. Shifting to popular music, we dropped my Supertramp, Crime of the Century [MFQR 1-005] into play. Again, this was a revelatory listen. For the first time, the doubled vocals on “If Everyone Was Listening” were clearly revealed, not just hinted at. The closing track, “Crime of the Century,” was portrayed with the most focused and lifelike familiarity that I’ve ever noted. On Blues Traveler’s self-titled LP [Brookvale Records], both John Popper’s voice and harp were so crisp, solid, and realistic-sounding that it was uncanny. Dynamic contrasts were breathtaking. 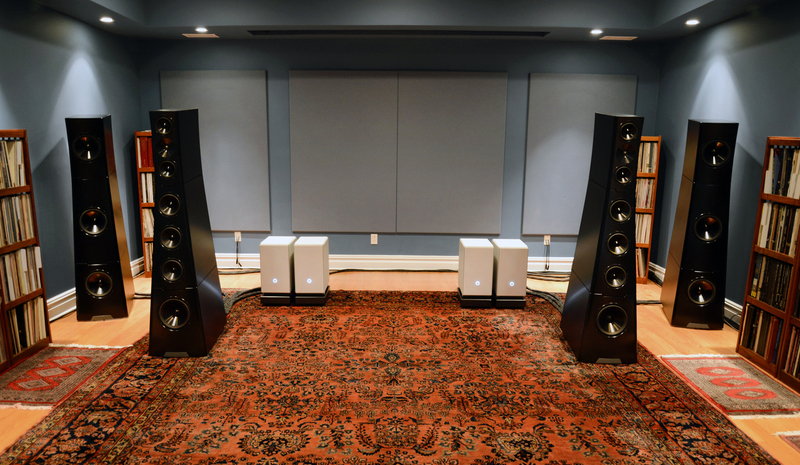 As revelatory as this system had sounded during the launch of the YG Acoustics Sonja XV last year (and it had ranked among the three or four most realistic and musical systems I’d ever heard to that point), the addition of the Stern linestage and Heisenberg monoblocks push the bar to previously unattainable levels. Even given the remarkable advancements achieved in amplification products over the previous half-decade or so that have been leveraged by a number of industry leaders (primarily of Swiss origin, though not exclusively), nothing else in my immediate experience has demonstrated these components’ ability to so accurately and artfully combine delicacy with power, focus with bloom, resolution with body, detail with texture, and clarity with expressiveness. All told, these attributes more successfully permit a listener to completely forget that what he or she is listening to is a re-creation, a reconstructed sonic event. 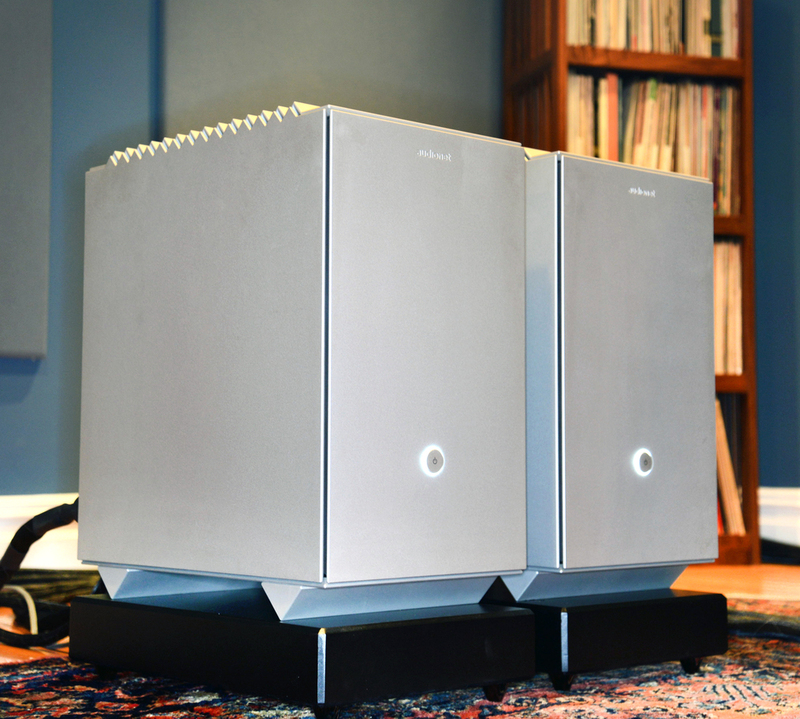 In short, the combination of the Audionet Scientist Series Stern linestage and Heisenberg monoblock amplifiers establishes a new benchmark.